Indian gooseberry is called as Amla in Hindi, nellikai in tamil and kannada and usirikaya in Telugu. 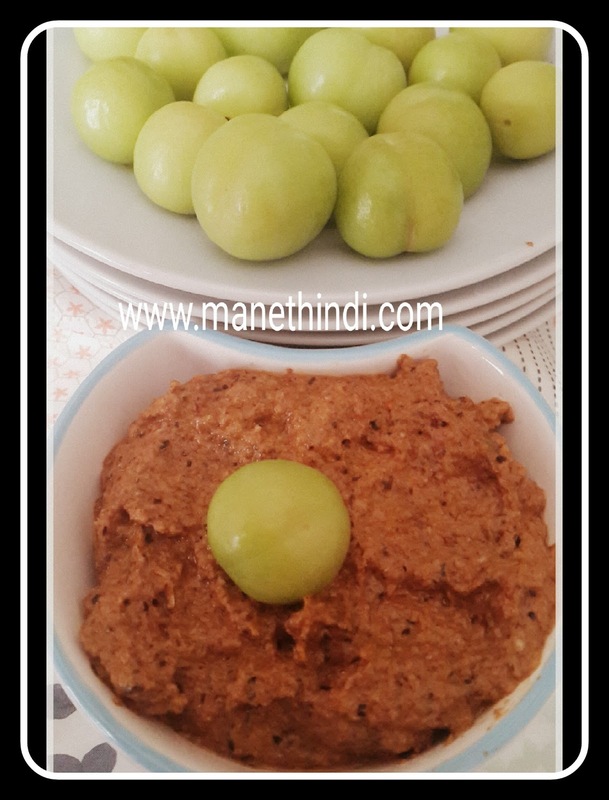 Gooseberry is an immunity booster since it is high in vitamin C and has been used for years to prepare ayuvedic medicines.It is very healthy and has the power to control many ailments. 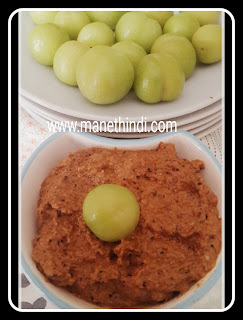 Try this very easy and quick nellikai thokku recipe which tastes heavenly with hot rice and ghee!! 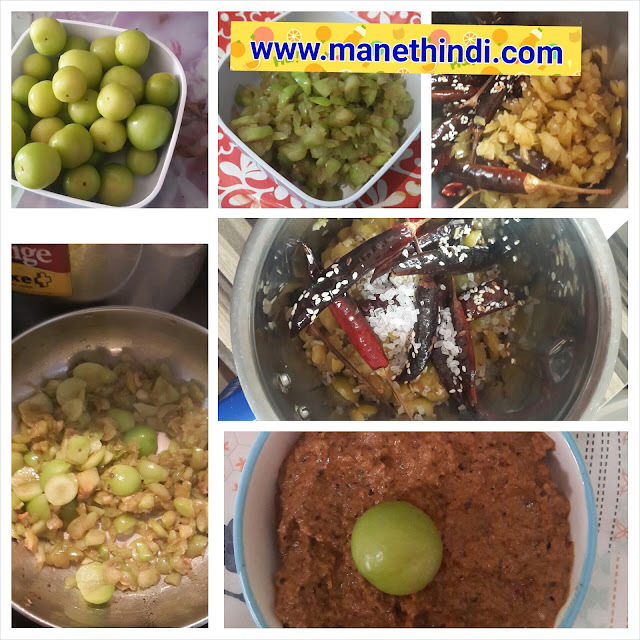 Roast sesame seeds lightly or chana dal and urad dal till golden. Set aside to cool. Fry red chilies in 1 tsp oil and set aside, add cumin to the hot chilies. Fry nellikai pieces in the same pan on a medium high flame for 3 to 4 mins, do not burn them. Powder the sesame seeds first and add red chilies and cumin. Grind to powder. Once cool, add the chopped nellikayi with salt and grind them without adding water. Add oil to the same pan used for frying nellikai. Add mustard, cumin, dal, red chilli. Fry until the dal turns golden brown. Add curry leaves and hing. Temper on the chutney.